Welcome back NFL football! It has been a long, hot summer - but now its time for the sports bettors to welcome back the NFL season. 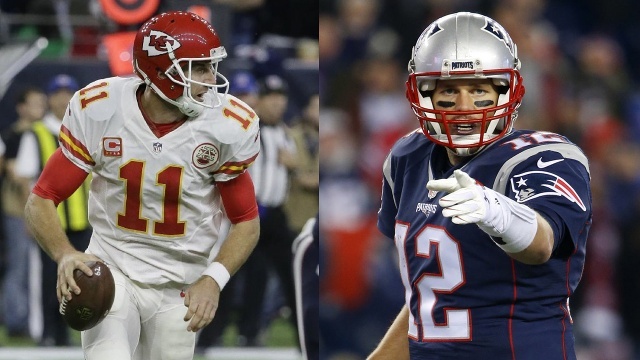 This Thursday night, NFL kicks off the season with the week 1 matchup - The Kansas City Chiefs vs the New England Patriots. At the time of this post, sportsbooks have New England as a 9 point favorite (New England -9). But by using our proprietary NFL betting tools, we are seeing some value in the underdog Chiefs. Let's get into some details on our betting system, trends and free pick for week 1 of the 2017 NFL season. Now in our 11th season, the OnlineWagerReview betting system (known as "The Guide to NFL Investing") is back for another profitable season. At the core of the system - we identify "betting value". This is done through several proprietary tools. Example - our NFL betting power rankings . As the NFL weeks pass, we will provide more betting tips, betting systems rules and free NFL picks. So be sure to stay tuned to OnlineWagerReview for the 2017 NFL season. Bottom line - Chiefs are a good play at +9. The reason is simple - sportsbook are over compensating for heavy public action on the Patriots. The Chiefs are nothing to sneeze at. They are a solid football team, with a stout defense, that will give the Patriots a very good football game tonight. In talking about the matchup - both teams have solid defensive units. We would not be surprised to see a defensive, ball control game, that sees less than 47 combined points (predicted to be lowest scoring game for week 1 ). When we run this game through our NFL betting system, the wager on Kansas City becomes clear. The type of differential between "our" line and the sportsbooks creates excellent betting opportunities. Week 1 matchup of Chiefs vs Patriots looks like a nice value play. As we outlined, our betting system has helped us identify the underdog Chiefs are nice looking play in this season opener. Go against the public in this play. Align your money with the "dog" Chiefs taking 9 points.